Chic and unique crack pattern. Primary kind of gaming headset, it can provide the best game wearing experience for you. Over ear, soft comfortable to wear long time. Adjustable headband length to fit your head. 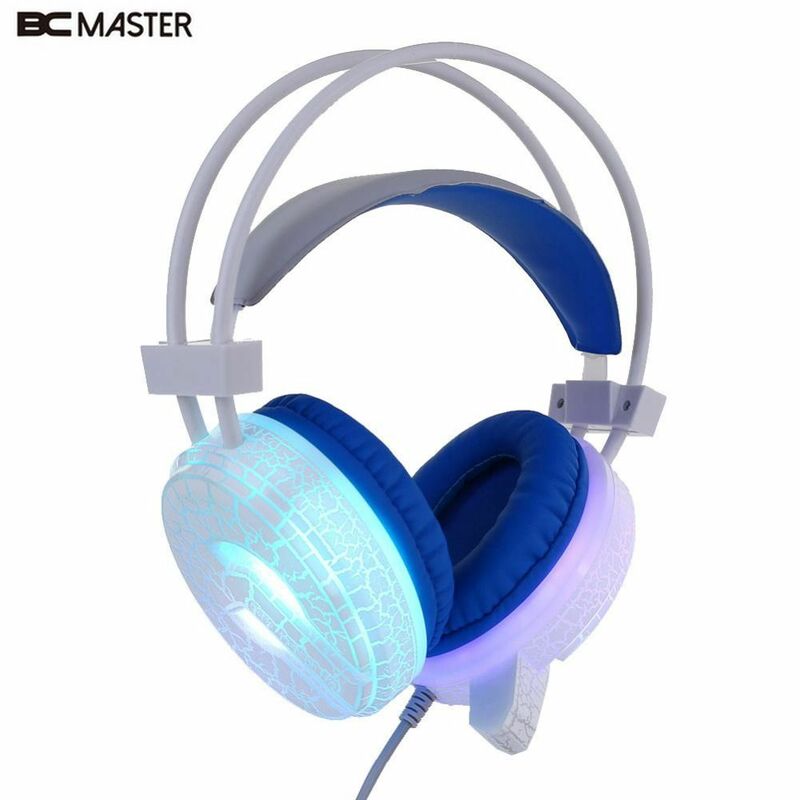 Cool 7-color circularly changeable breathing LED light which highlights the atmosphere for gamer. Built-in high-sensitive microphone, access to high-quality voice input.